James Slatic is well known and respected pioneer and thought leader recognized by the Huffington Post as one of top five Cannabis industry movers and shakers. As the former CEO of Med-West, James led and grew to be a $12M a year California infused products company. James is an active industry advocate and has sat on the boards of the California & Nevada Cannabis Associations and the Marijuana Policy Project providing James with a deep understanding of regulatory markets and frameworks. 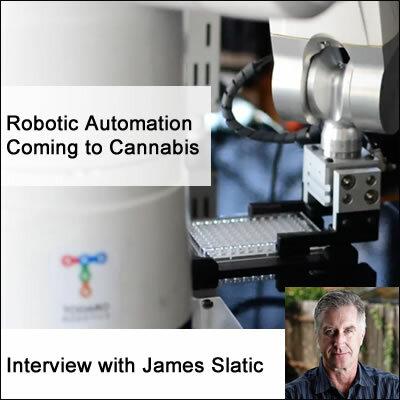 Listen in as James discusses his most recent move into automation and robotics in the cannabis industry.